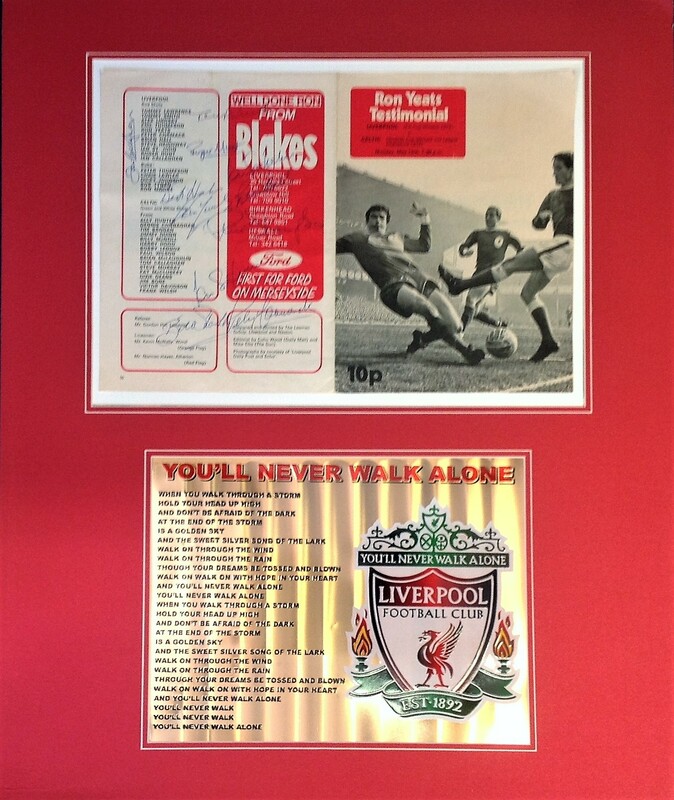 Football Liverpool FC 24x20 approx mounted signature piece includes Ron Yeats testimonial programme cover 1974 signed by Ian Callaghan, Roger Hunt, Tommy Smith, Ian St John, Phil Thompson, Peter Cormack, Brian Hall, Bill Shankly and Ron Yeats also includes a mounted gold commemorative You'll Never Walk Alone. Good Condition. All signed pieces come with a Certificate of Authenticity. We combine postage on multiple winning lots and can ship worldwide. UK postage from £3.99, EU from £5.99, Rest of World from £7.99.